Neo Lite is now available. Neo Lite provides even more value with slightly different features from the Neo. 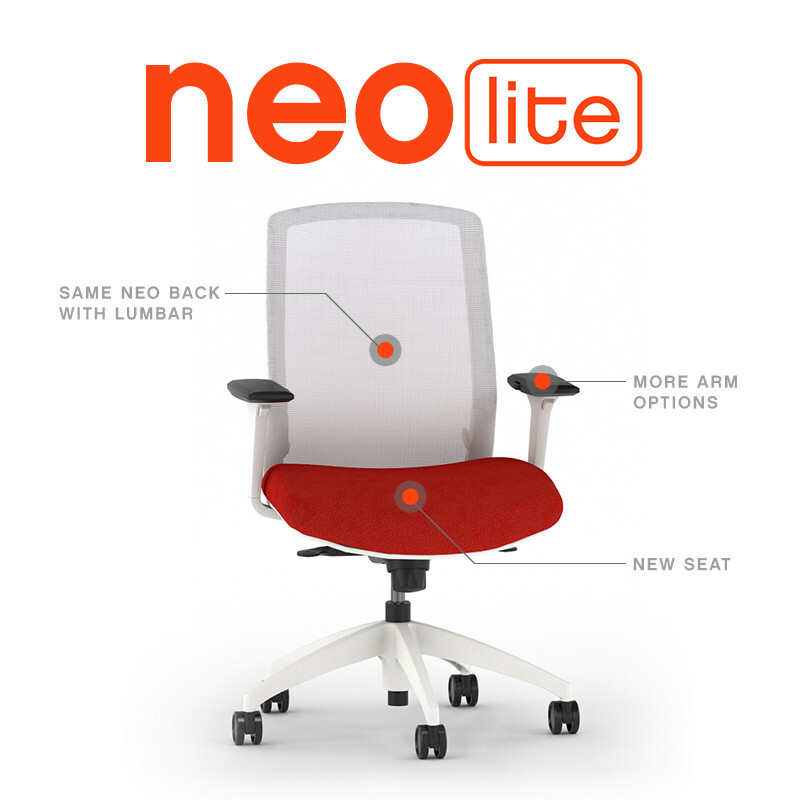 Learn more about the Neo Lite and customize the Neo Lite for a project spec using our Chair Designer. Neo launched in Spring 2018 and it continues to dominate in 2019. The fully loaded ergonomic chair with its sleek design and built-in lumbar support is unique. Click the video to learn more about Neo, or customize Neo in our Chair Designer. 9to5 Seating receives General Services Administration addition to their contract GS-28F-0013X for new series: Luna and Neo. The Luna and Neo are two additions to the task/work seating, focusing on function, ergonomics and long-lasting comfort. These two chairs come fully loaded with standard ergonomic features and provide long-lasting comfort at budget conscious price points. Quality office furniture combined with unbeatable customer service and some of the best prices and warranties in the industry have always been a focus for 9to5 Seating. With numerous features, additional options and thousands of upholstery options, 9to5 Seating strives to provide the best experience at every opportunity. Almost all of 9to5 Seating products are GSA approved under Multi-Purpose Seating, Upholstered Seating, Stacking Chairs and Tables & Accessories. Check out our seating selection for more information, or begin customizing a chair for your next project with the new Chair Designer.